No technology has had such a profound impact on human civilization in such a short span of time as Information and Communication Technology (ICT). The pervasive effects of the technology are being experienced in every sphere of life; in fact ICT has become a propellant of advancement and growth in all fields of human activity. The above scenario puts a great responsibility on all those who are involved in conceiving, designing and recommending systems based on ICT. It not only requires technical skills to effectively harness the technology but also the foresight to envisage its implications on the users of ICT systems and on the society as a whole. All of the above issues have given rise to the disciplines of Computer Science and Software Engineering, which have matured during the last decade. 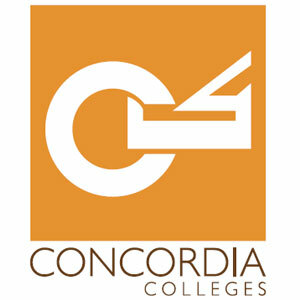 The School of Computer and IT currently offers the following programs of study. Each program is spread over four years (8 semesters) of full time study and comprises 130 credit hours. In designing the plan of studies, the School has been closely following the updated HEC curriculum of the above two programs. Under the aegis of the University, students have an opportunity to study liberal arts courses and broaden their learning experience. 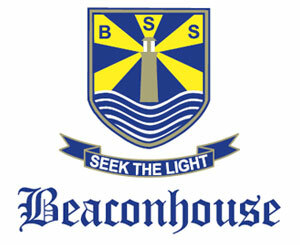 Both programs have an imprint of quality conscious approach of the Beaconhouse Group; a leader in the field of quality education in Pakistan. The system of instruction followed by the School of IT places great emphasis on lab work in complementing the theory. Lab sessions are supervised and graded. 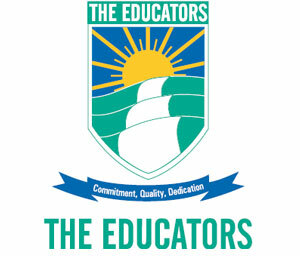 In addition, the entire instructional cycle is based on merit and students are managed in a professional environment. Great effort is undertaken by the School’s faculty to provide quality instruction in line with HEC guidelines. The efforts of the faculty are complemented by in-house developed Campus Management Solution (CMS) system. The fourth annual edition of Project Demo Day held in May this year, amply demonstrated that the School is fast improving its quality of education and students are keen to imbibe the expertise emanating from latest tools and technologies, in gearing themselves for work on innovative applications. CS has the same relation to SE as physics has to electrical engineering; the former deals with the principles of the discipline and the latter uses these principles for different applications. CS is inherently interesting as new technologies evolve, thereby providing immense challenge to the inquisitive mind. SE has the attraction of identifying new applications of the technology to solve upcoming problems. To be effective, both disciplines are hand in glove, with each having its own emphasis areas. The School of IT started the Bachelor program in Software Engineering in 2007, in view of the great demand by IT industry for skilled software engineers. During the last 10 years the program has had remarkable success in terms of number and quality of applicants. Graduates of the program are now well received in the market. The program is accredited by the NCEAC, the professional body of the HEC. Recently the ranking of the program has been raised by NCEAC from Category Y to Category X. The School is now responding to the general need to go back and have a fresh look at basic principles of Computer Science. For instance, there is resurgence in interest in Artificial Intelligence (AI), which was dormant for many years, and has now become a promising area of applied research. Similarly, emerging areas like Internet of Things (IoT) need research on algorithms and structures that efficiently work on the Internet. After noting the above developments, the School has launched the BSc (Hons) in CS program from Fall this year. Accreditation of the program from HEC is in process. The vision of the School of Computer and Information Technology (SCIT) is to become the leading national school in business computing and software engineering education and research. 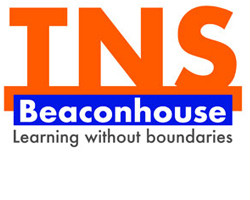 To this end, the School places special emphasis on all areas which have an impact on the provision of quality education namely; quality of intake, curriculum development, selection of faculty, teaching methodology, examination system and co-curricular activities. The faculty of the School actively pursues its individual research interests. Active research areas are artificial intelligence, databases, e-learning, multilingual processing and computer education. Two faculty members are pursuing their PhD in Computer Science. The School subscribes to a number of ACM journals and magazines. Job prospects for graduates of the School of IT are extremely bright. Most graduates are absorbed in the job market shortly after graduation. The School has received positive feedback about the performance of its graduates from the software industry and corporate sector. A number of graduates of the School have successfully pursued post-graduate studies at national and foreign institutions. 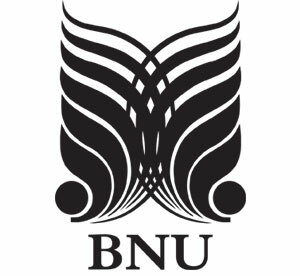 BNU has a number of student societies managed by different schools which provide co-curricular and recreational exposure to students. Students of the School of IT can join these societies keeping in view their individual interest. The School of IT has set up the BP9 Society in collaboration with Plan 9 venture of Punjab IT Board. The society seeks to develop entrepreneurial skills in students. BNU Mozillians is a Firefox society of the School which promotes website development using the Mozilla platform. Members of the society network with similar societies in other institutions to organize different Mozilla events. The School organizes a number of Seminars and Guest Lectures during the year in which professionals from the industry are invited to give talks on topical issues. Students of the School participate in IT competitions organized by other institutions. Besides honing their technical skills, such competitions serve as forums for exchange of notes on matters of professional interest. BNU is located on a purpose-built 32-acre campus and has grounds for playing field games like cricket and football. The BNU Sports Office manages student participation in the above games. Why Choose School of Computer and Information Technology? We groom our students in a professional environment and provide them enough practical exposure so that they can choose to work in any kind of organization after graduating from SCIT. Our main focus remains on the quality of the programs we offer. We regularly update our curriculum to cater to the changing requirements of the field and also adapt our teaching methodology accordingly. We train our students to become IT professionals and entrepreneurs. From state-of-the-art labs to custom designed class rooms, We have state-of-the-art computer labs and custom designed class rooms to facilitate students working with multimedia, network, and communication technologies.